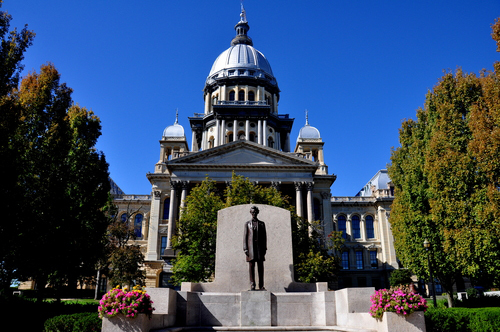 After thousands of pro-life advocates protested legislation that would expand abortion in Illinois, the bill, SB 1942, failed to pass out of the Senate Executive Committee before the deadline and was reassigned to the Senate Assignments Committee. Its companion bill, HB 2495, was returned to the House Rules Committee. The legislation, known as The Reproductive Health Act, would legalize abortion in Illinois through all nine months of pregnancy. Another bill–SB 1594–was reassigned to the Senate Assignments Committee after previously being on the calendar for a second reading. SB 1594 and its companion bill, HB 2467, would repeal the Parental Notice of Abortion Act of 1995, which currently requires doctors to notify an adult family member of a patient under 18 prior to an abortion. On April 5, Gov. J.B. Pritzker announced the state’s Medicaid system will begin providing coverage for gender reassignment surgery for patients 21 and older diagnosed with gender dysphoria (defined by the American Psychiatric Association as “a conflict between a person’s physical or assigned gender and the gender with which he/she/they identify”). According to Illinois News Network, about 1,400 of the state’s 3.1 million Medicaid members have been diagnosed with gender dysphoria. Coverage for gender reassignment surgery may be available as soon as this summer after a public comment period. Rep. Darren Bailey (R-Effingham) said this month he will introduce legislation to stop Pritzker’s mandate from proceeding.